Concession selections at PNC Arena provide choices to suit everyone’s taste. We prepare many unique menu items daily, along with other traditional offerings. There are 20 permanent concessions stands throughout the arena, and 48 food and snack carts. Find a stand location near you. The Foothills Locker Room is a great place to catch all the local scores. Serving up various Foothills beers, Nachos, Chicken Tenders and other assorted foods. 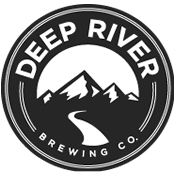 Four Deep River Brewing draft beers and two canned varieties. Full bar menu including snacks and non-alcoholic beverages. Cheeseburgers, Hot Dogs, French Fries, and traditional concession favorites including Popcorn, Pretzels, and Nachos. Hand-Breaded Buttermilk Chicken Tenders and Fries, Hot Dogs, and traditional concessions favorites including Popcorn, Pretzels, and Nachos. *This stand will offer special menus for concerts and misc. events. Sections 105, 120 - Hand-Breaded Chicken Tenders and Tater Tots, Grilled Cheese with House-Smoked Brisket, and traditional concessions favorites including Popcorn and Nachos. Offers a 'quick stop' variety of beverages, snacks, candy, and specialty items such as Cheerwine Slushies, Sabra Hummus, Health & Beauty convenience items and more. Ribeye Steak Sandwich and Steak Fries, Fried Fish, and more. Grilled Italian Sausages and Bratwurst with sautéed sweet peppers and onions, and Torpedo Hot Dog with a Cheddar Bacon Roll. Gourmet Stuffed Pretzels, Regular Pretzels, Fresh Butter Popcorn, Candy, Cotton Candy, Lemonade, and Soft Drinks. Pizzeria Style Pizza by the slice, and Hand-Breaded Buttermilk Chicken Tenders with fresh Belgian Waffles served with Sweet Pete Sauce or Maple Syrup. A variety of hand-dipped Breyer's flavors and assorted flavors of Dippin' Dots Ice Cream. Freshly prepared Steak Sandwiches, served with onions and provolone cheese on house-baked bread.